We were able to capture lots of foot traffic from that part of the Mall. The best part was all of the new registrants we had. I've been doing this stuff for a few years, but I only recognized less than 25% of the names. Several folks had had their cars for less than 6 months and wanted to get them on display, even giving rides, which was gratifying. I also met my first used Leaf buyer, who was very enthusiastic. The i3 driver has had his car since April, but already has lots of homemade signage and pictures, and a whole prepared display. EVADC will probably get several new members from this event. Want to stop buying gasoline? Come learn about electric vehicles! We’ll have owners available to answer questions! See several models of plug-in cars in one place, for easy comparison. Nissan Leaf, Chevy Volt, Tesla Model S and more. 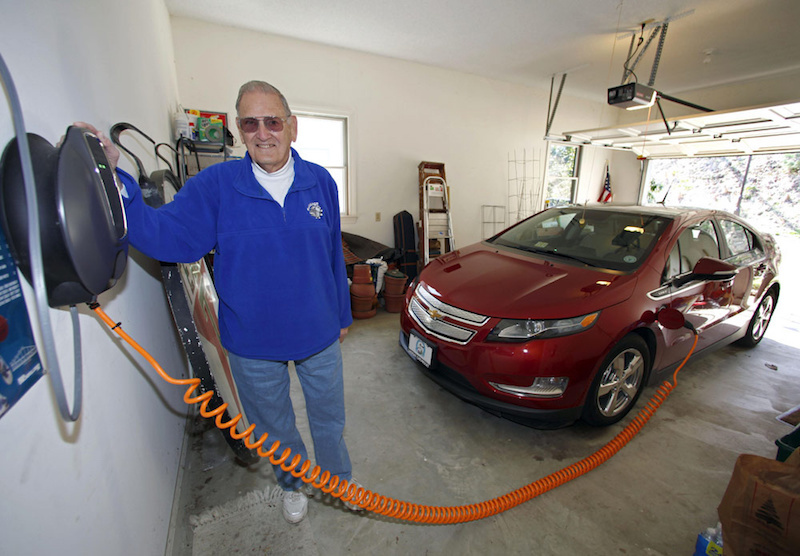 Hear how people charge their cars daily, mostly at home. If you’re already driving a plug-in, join us! Register above to attend. Learn how EV’s are far cheaper to run, even now with current “low” gas prices. 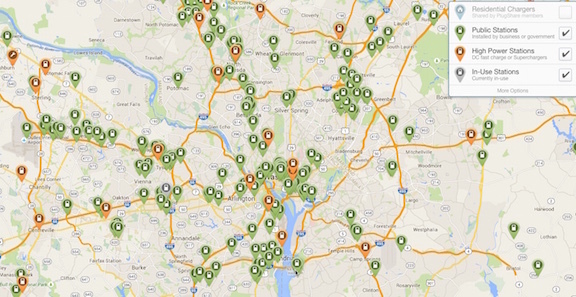 See how to find public charging near where you work and shop. Find out how you can have a plug-in car in an apartment, row house or townhouse. You’ve heard the news stories; now come hear the truth from people who actually drive EV’s and love them. Find out what incentives are available in DC, MD and VA, including how to get cheap off-peak electricity from Pepco, Dominion and BGE for your car. Get comfortable with having a plug-in car in your life. It’s a fabulous feeling of independence to decouple yourself from gasoline! Get a ride in an electric car. Feel the torque! Learn how driving on electricity helps our national energy security. Learn how driving on electricity helps the environment, even on the grid as it exists today. Learn how driving on electricity helps your family’s economy. And how used, affordable EV’s in great shape are showing up on the market. Many people could be driving electric today but don’t realize it. Find out if an EV would work for you from real folks who drive them. Come hear more real experiences from real families driving plug-in cars. Registered attendees report 643,208 electric miles driven. The Electric Car Is Here, Are You Ready for It?